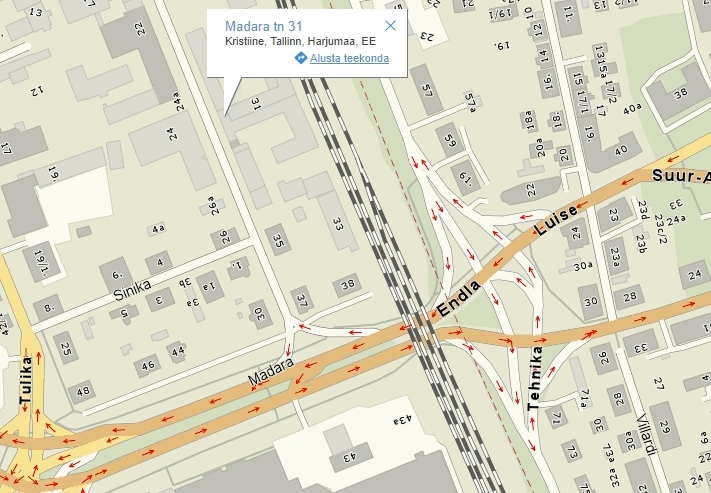 The bitcoin ATM is located at Madara 31, in the “KiirAutoLaen” office. Work hours: Monday to Friday from 9 am to 6 pm; Saturday and Sunday – closed. Only payments in EUR are accepted (in denominations of 5, 10, 20, 50, 100 and 200 euros). 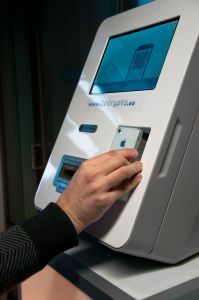 The ATM can be operated in the Estonian and English languages. The price is tied to exchange market prices and varies depending on the exchange rate of the exchange market. The price already includes the commission fee. Before the client buys bitcoins, he must provide the Teller with an ID for identification. You can read the instructions on purchasing inside. If you want to use the ATM, you need to have a QR-code (a square icon) of your virtual wallet (on a phone, tablet, or printed). Before the client buys bitcoins, he must provide the Teller with the ID for identification. Prior to a transaction for the sale of bitcoins, the client must pass the identification procedure in accordance with the current legislation. The minimum amount of a bitcoin sale – 5 euros. In order to carry out transactions with bitcoins, you need to have a working bitcoin wallet. A bitcoin wallet, in simple terms, is an equivalent of your physical wallet in the Bitcoin network. The wallet contains your private key (keys), which allows you to spend your bitcoins. Each bitcoin wallet shows the balance of all the bitcoins it controls and allows you to pay a certain amount to a certain person, just like a physical wallet. It is different from credit cards, which allow a seller to withdraw your funds. You can start using your bitcoin wallet on your smartphone regularly or you can keep the wallet on your PC for online payments only. In any case, it will only take you a minute to select the wallet.